Dignity. Confidence. Independence. These words are what has motivated us to create a line of high quality, fashionable, Inclusive clothes for everyone including... Men and women looking for comfortable stylish clothing, disabled veterans, stroke recovery, and people living with Down syndrome, Parkinson’s, Autism, Cerebral Palsy, Multiple Sclerosis, Spinal Cord Injuries, ALS, and Alzheimer’s. Individuality and self-confidence are the right of every man, woman, and child to live their life without limits or boundaries. NBZ Apparel International offers a line of high quality, fashionable inclusive apparel for children and adults designed to make a difference in people’s lives. Read these inclusive and adaptive clothing reviews to hear it from our customers themselves! I’m so happy we found NBZ!!!! My sons pants never stay up and he has a hard time pulling pants up and when he moved to a size 8 there they no longer came with tabs on the sides to take the pants in. Sweat pants where all he could wear. He looks so cute in his new jeans!!! They stay up and he can get them on and off himself! The company was also wonderful to work with!! Karen was amazing! Very helpful and got them back to us in a flash! Wonderful to have pants that fit my special kid! Just received a call from Karen after I placed an order. I figured I would order a pair of jeans for my 22 yr old son and see how they turn out. She assured me that she will make sure they are a perfect fit. I'm extremely excited and hopeful! Finally a fit for my son. Thank you Karen. I am so glad I found this company! The jeans look great and more importantly my son loves them! Wearing warm up and sweat pants all the time gets old, he loves these jeans and we will most certainly be getting more. The little things some of us take for granted like zipping or buttoning can be extremely frustrating for others. Thank you for helping to make life a little better for some! 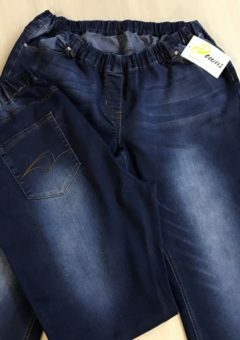 NBZ apparel (Downs Designs) has been helping me buy jeans for my special needs grandson, who can't manage the fastenings on traditional jeans, for several years. 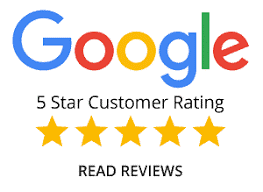 They are helpful in every way, and their willingness to contact you by email or even call and talk it out with you, along with free try-on service, assures a happy result. My grandson looks and feels his best in these jeans as well as some of the dressier versions. They've been a godsend. These are the first jeans we have had that fit great , but look cool- thanks much!!! We love these pants 👖! My son has a bit of a belly and always pushes his pants down below it. He’s a little man (22) so we have a hard time finding anything but sweatpants to fit him at a regular store. Because of poor dexterity, he can’t do buttons or snaps so the elastic waist is great for him. With an elastic belt, no one is the wiser of the waistband being elastic. This store and Kim are amazing. My grandson got his jeans today and they fit him perfect. First pair he has ever had that fit him. Thank you so much for making my grandson so happy! I had been searching for electric waist jeans for my son for the last 2 years. I was so excited to learn about NBZ and I couldn’t be more pleased with your products and service. Billie walked me through the whole process and made it so easy to order. I love the in home alterations system. Thank you for making such a quality product for individuals in the Down syndrome community and others! Love this company and their mission: stylish jeans for all! Anyone can wear them and feel dressed for success! There's stretch to the pants, too! The jeans look great and feel so good! If you're difficult to fit, have trouble with buttons or zippers, or just want to look good, these jeans are for you!! We continue to return to Downs Designs/NBZ Jeans to purchase jeans for my 8 year old. I am amazed with the quality of the style and the materials. The jeans and slacks fit my son so well and look amazing. He feels confident and comfortable in these pants. The staff provide outstanding service. They will have our business for years to come. 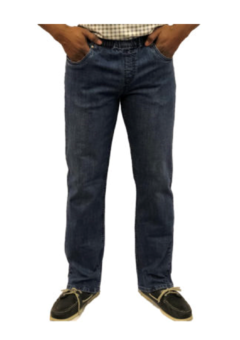 Jeans are made with quality, heavy denim material and they have quality stitching. They look great on and don't look different from normal jeans with zippers and buttons. The elastic waist holds up and is easy to pull up for those of us that can't stand unassisted. I am so impressed and pleased. Thank you so much for your help. My son, Giuseppi, loves the pants we ordered from you and they fit him like a glove. They are comfortable and sharp looking which checks all the boxes. I wish I had found you before now. I highly recommend what you do to anyone. Thank you!!! I am very pleased with the jeans I purchased for Nicky. I definitely will be coming back for more when needed. Buying clothes for my son is so very hard. It means a lot and I am so thankful, and grateful for people like Karen Bowersox, owner of NBZ Apparel. Thank you! I am thrilled to find this company! 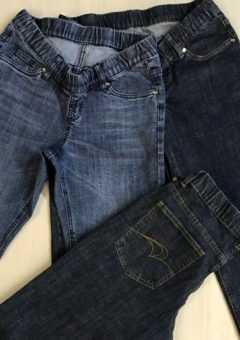 We have ordered stylish, comfortable pull on denim jeans for our 16 year old grandson who has cerebral palsy. The jeans look great and he feels great! Jeans which feel like pajamas. I am hard to fit and these are the first jeans which fit me perfectly. I wish I had found these years ago. They go out of their way to fit the customer. I threw out every pair of my old jeans to wear these! NBZ Apparel IS THE BEST!!! Purchased a pair of pants for my 96 year old Dad. JACKPOT!!! The jeans fit well, are stylish and look fabulous! Big Kudos to Karen for all her help and special attention to detail in helping me to get the best fitting jeans for my Dad!! The customer service I received from NBZ Apparel was outstanding. Billie Jean was very helpful in walking me through the process of finding the best fit of jeans for my son. The end result is bang on. My son is excited to own his first pair of jeans. Thanks Bille Jean and NBZ!! NBZ is a great company! They have been super easy to work with and they have the most helpful customer service ever. The quality of their products is top notch, worth every penny!!! Our son looks great in his jeans and dress pants and he LOVES to wear them! We will definitely order again in the future! We have bought a number of pants and shirts from Downs Designs. The quality is excellent and the service is great. Plus the clothes fit properly! Highly recommended. Customer service is top notch, Billie is wonderful. We've been searching high and low for pants that fit my son and we've finally found them. Thank you for providing this service NBZ. We were very pleased with the quality and fit of the pants we ordered for our son. It has always been a challenge to find pants that fit and look good on him. The customer service was excellent, they really care for their customers! Thank you! We will be ordering again very soon! My sister purchased a pair of jeans for my son. They are fashionable, well made, work well when he uses his walker or wheelchair. Happy an ad popped up in Facebook and we checked them. Will deinfitely order from them again. Great company! What an amazing experience to have someone take the time to make sure these fit perfectly for my son. Above and beyond expectations. Pants fit great! Quality material used. Billie was a joy to work with. I will definitely order from NBZ again! We went to NBA Apparel to find jeans for our son who has Down Syndrome. He loves his jeans! We will definitely be return customers! Fantastic product and wonderful customer service. This is such a tremendous resource for our community. My daughter has been wearing NBZ jeans for over four years now--they allow her to be stylish AND independent! Thanks so much! Great experience working with NBZ to get the fit just right. It's so nice to see our son comfortable in blue jeans! Thank You John! It was great working with you as well. We pride ourselves in custom fitting clothing that looks great and is comfortable for our wearers. We will look forward to working with you again! I am so pleased to finally have jeans for my Autistic son... I have so many jeans I donated because they have buttons. Finally jeans!! So happy. I will be buying more! I had trouble placing my Christmas order of pants for my grandson. Friendly, helpful service and a very well-made product! I was amazed at how fast we received our jeans, too! I am so glad i discovered NBZ Apparel. The customer service has been awesome and i have been extremely happy with the product. I have only purchased the jeans and dress pants. I do plan on future purchases. My son loves his pants and looks great in them. Best decision was to order from NBZ Apparel. My son teenage has Cerebral Palsy and struggles with snaps and buttons. 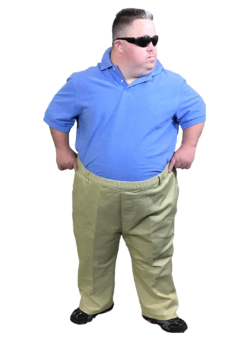 These pants are great, comfy and give him important independence. Fit great for my 12 year old son. Great quality!! Personal customer service. Wish all companies treated there clients the way NBZ does! What Makes Our Clothing Inclusive? Our Adaptive Clothing Reviews allows our customers the opportunity to share the difference inclusive clothing makes in their lives. Jeans, black dress, and khaki pants that are so fashionable, comfortable, and flexible that everyone can enjoy wearing them. NBZ Apparel jeans and pants are durable and easy to wear. Every pair is sensory friendly with stretchy waists and no buttons and zippers. 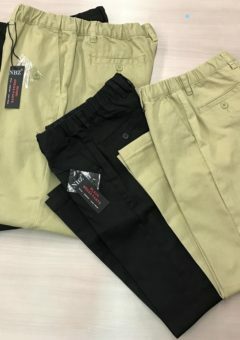 These high fashion jeans, casual jeans, black dress pants, and khaki pants are an ideal adaptive clothing resource for people who can’t easily operate buttons and zippers or need custom fitting clothing. Downs Designs jeans and pants have a custom fit and provide a great fit and feel for unique body shapes for males and females ages 2 and up. The brand carries nearly 20 different styles based on body types including the one of a kind dip down styles resting comfortably under the belly while providing backside coverage. Every U.S. purchase of Downs Designs brand of jeans and pants include our “In-Home Personal Fitting & Alterations Service” for every pair ordered. These fittings are an essential part of our unique service to you that guarantees the perfect fit every time. We would love to hear from you, Take our survey and share what adaptive features you would find most important for our upcoming clothing designs.